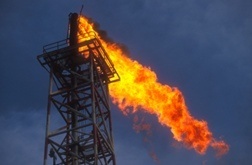 BP employees who participated in BP employee benefits plans may be eligible to file an ERISA (Employee Retirement Income Security Act) lawsuit alleging BP violated ERISA laws. BP stock reportedly lost a huge portion of its value since the Deepwater Horizon oil rig exploded and sank, leaking oil into the Gulf of Mexico. Lawsuits have been filed alleging employee benefit plans of other companies with investments in BP stock have lost money. Send your BP ERISA Plan claim to a lawyer who will review your claim at NO COST or obligation. An investigation has been launched into whether BP employee benefit plan fiduciaries acted in the best interests of plan participants. Under ERISA, plan fiduciaries—those responsible for investing a plan's assets—have a duty to act in the best interest of plan participants. That includes prudently investing plan assets. If it is shown that fiduciaries of BP employee plans knew or should have known about problems with the company's safety or environmental controls and still invested plan assets in company stock, those fiduciaries may be guilty of breach of fiduciary duty. Some reports indicate that BP's stock lost approximately half its value since the Gulf of Mexico oil spill, causing potential hardship for people with accounts in BP's 401(k) plan, especially if those people are nearing retirement. 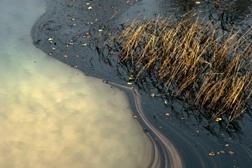 April 20, 2010 was the first day of a massive oil spill in the Gulf of Mexico. Eleven men are presumed dead following an explosion on the Deepwater Horizon oil rig. A reported 5,000 barrels of oil a day leaked into the Gulf of Mexico before BP could put protections in place to siphon off some of the oil leaking nearly one mile below the ocean surface. One lawsuit has been filed on behalf of participants in the City of New Orleans Employees' Retirement System. According to court documents, plaintiffs allege, "The failure of the BP Board of Directors and certain officers of BP to comply with their fiduciary duties and the improper conduct of the other defendants has caused the worst oil spill in the history of the United States." The plaintiffs further allege that BP defendants ignored crucial safety issues and did not reform the company's safety record, despite fatal accidents. "Following the disaster [the oil spill], BP's stock price has dropped by approximately 40 percent, wiping out around $75 billion of BP's market value, through Tuesday June 1, 2010," the lawsuit alleges. Now, BP may face a second lawsuit, this one filed by BP employees who are participants in the company's 401(k) plan. Investors Seeking Assurances That BP Stock Lo..
BP ERISA Class-Action Lawsuit Seeks Compensat..